Freeview users in London have been getting angry over changes to the service, which took place on Wednesday morning. As part of a Government scheme to clear TV frequencies in preparation for future 5G services, the London TV region became the latest to be affected by changes to Freeview. The changes also affect YouView (BT TV, Plusnet TV, TalkTalk TV) as well as Now TV Smart Box and EE TV users in the region. The Freeview frequency clearance programme began with next to no fanfare in parts of Scotland last year, and is due to continue on a region-by-region basis until 2020, when 5G services are expected to arrive in the UK. Similar changes also took place in parts of Southern England on Wednesday. Viewers have been advised to retune to restore channels. But some channels are now available on frequencies never used before by the capital's main Crystal Palace transmitter (pictured above), meaning some aerials will not be able to pick up all channels as before. However, viewers receiving Freeview via a shared or communal aerial may also not be able to receive all available services: despite letters from Digital UK, the organisation overseeing the changes, to landlords, it appears some have failed to ensure aerial systems are suitable, or pass through the correct frequencies, based on feedback from affected viewers to a516digital today. For viewers receiving Freeview from one of the many relays dotted around London, the changes have resulted in even the main channels such as BBC One being affected. For viewers previously able to the get the full set of Freeview channels from the Crystal Palace transmitter, three bundles of channels (known as multiplexes) are affected. Viewers receiving Freeview from one of London's many relay transmitters will have noticed other channels being affected instead. This includes viewers in Hemel Hempstead, High Wycombe and Reigate, which are part of the London TV region. I've retuned, but not restored the channels. What do I do? Ensure you do a full retune. If your TV offers an option to 'add channels' or 'scan for new channels', do not use these. You may need to do a 'first time installation' or 'factory reset' instead. If you rely on a communal or shared aerial (e.g. block of flats), please liaise with your property landlord. You may wish to refer them to this letter, which was issued to landlords and property managers by Digital UK, the organisation overseeing the changes. If you have an older aerial, it may not be suitable for receiving the channels listed in Bundle 2 and 3 above. These services require a wideband aerial. HDMI cables and other devices within imminent range of the TV may interfere with reception, especially the services listed above, as they broadcast at a lower power than other Freeview services. If retuning does not restore access, especially if you've lost access to any of the main five channels, Freeview may be able to send a qualified installer to your home. This service is available when: (1) Your house has its own aerial and you don’t have access to satellite or cable TV (2) The problems can be attributed to the frequency changes, and (3) TV services cannot be restored by following Freeview's advice over the phone. (Contact number listed below). Is my receiver to blame? Some of the channels listed above can only be received on newer Freeview devices, those that support Freeview Play and Freeview HD for example. Please note that some receivers appear to having difficulty locking on to the services in Bundle 2 and 3 following recent technical changes to the service. This appears to be because Bundles 2 and 3 (COM7 and COM8 to give the official titles) are broadcasting as national services, whereas all other services are flagged as the London TV region. Some receivers that ask you to confirm the TV region following a full retune automatically hide services that don't belong to that region. Which channels should I be able to receive? You can check coverage at www.digitaluk.co.uk/coveragechecker. Viewers further away from the Crystal Palace mast may not be in the core coverage area of all of the services in the London TV region. I know how to manually retune my TV - where have the channels gone to? If you can manually retune your TV, and receive TV from the Crystal Palace transmitter, the UHF channel numbers you need to enter in the manual tuning menu are: 35 (Local TV), 55 (COM7) and 56 (COM8). UHF channel numbers are not the same as Freeview channel numbers. Don't I have a right to receive these channels? The channels listed in Bundle 2 and 3 - COM7 and COM8 are using temporary capacity and provide broadcasters with cheaper Freeview carriage. The trade-off is that these channels reach a lower proportion of the population, and that reception may not be guaranteed or protected when frequency changes occur. If you've lost the main channels, such as BBC One, and can't restore them after a retune, you should contact Freeview Advice where additional support may be available. Details are listed below. In Hemel Hempstead and parts of London, some relays will undergo further changes on 18th April 2018. 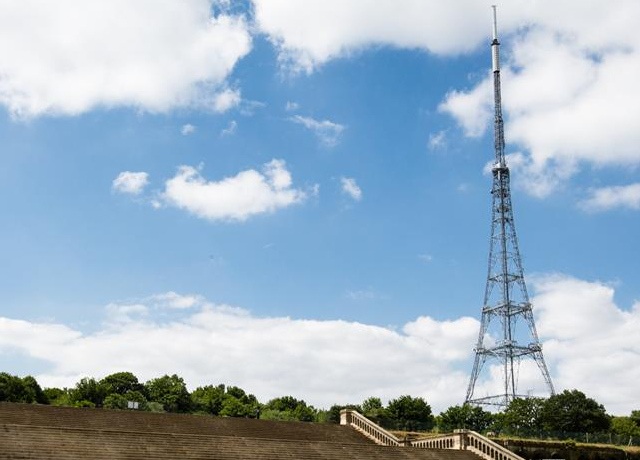 But the main London transmitter at Crystal Palace will not see any further frequency changes in the next few years. However, the channels listed in Bundle 2 and 3 above (COM7 and COM8) are only guaranteed to stay on their new frequencies until mid-2020, after which the frequencies are expected to be fully handed over for 5G use. Affected channels will either merge into the remaining Freeview line-up, as additional capacity becomes available or be distributed via other methods, such as the internet. Ofcom is expected to make a statement about the future use of the frequencies used by COM7 and COM8 this year and whether there will be an extension in the use of those frequencies. Where can I find out more about these frequency changes? Ofcom has produced a short document explaining why some Freeview channels are having to change frequency. You can download it from the Ofcom website. We've published an article that includes a detailed breakdown of the frequency changes in London - click here. Who should I contact if I am still having problems?